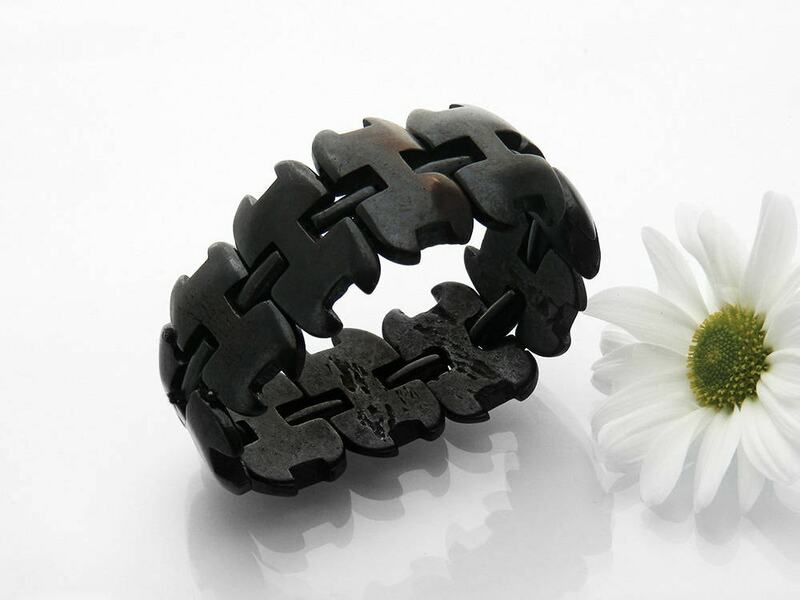 A very beautiful Victorian cuff bracelet carved from a black hardwood with a design that is very Gothic Revival in style. The highly polished black wood sections have deep reddish highlights and are super smooth and a delight to handle. 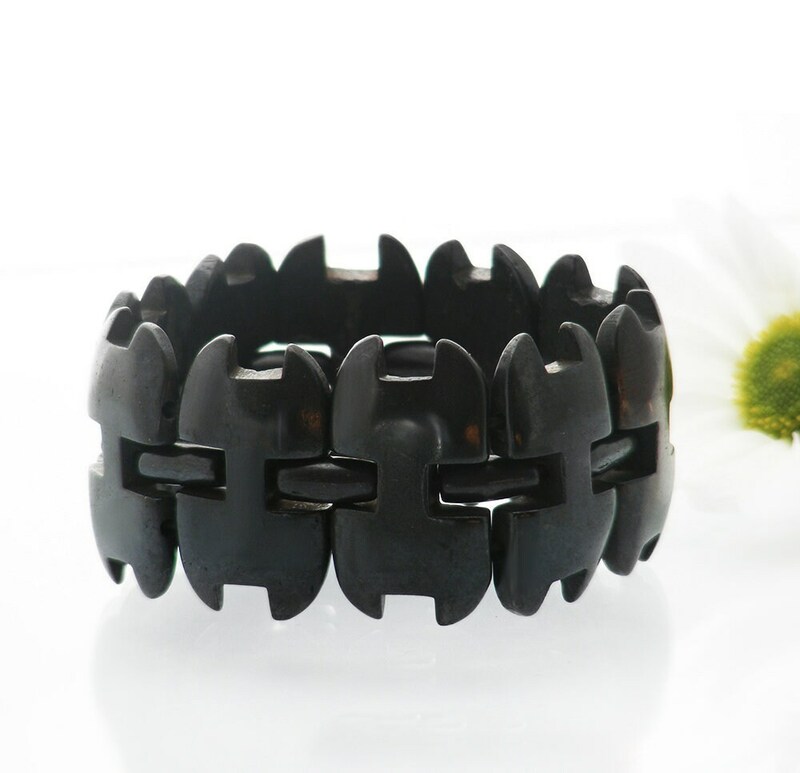 The bracelet is hand carved from a black hardwood, very likely to be a 'bog oak' - not all bog oak is actually oak, the reddish color of this beauty looks to be elm. 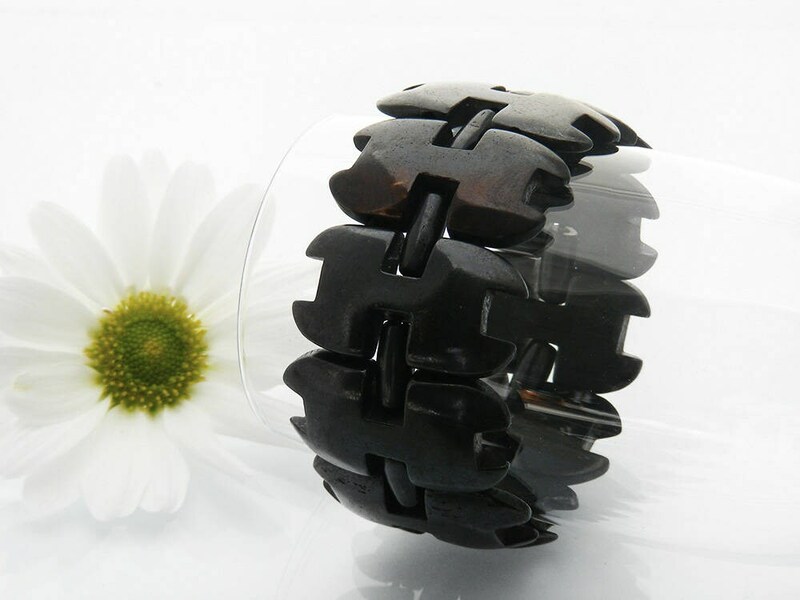 The links are gently curved in shape on the outside and have a flat back, threaded together on a thick and strong black elastic. Length: un-stretched the inside circumference of this bracelet is 6.75 inches or 171mm and stretches very well to fit over the hand. Condition: excellent. No chips or cracks, the links show the wood grain on the inside as can be seen in image #4. The ends of the elastic are knotted between links. An amazing piece of Victoriana - a lovely piece for a collector but very wearable. 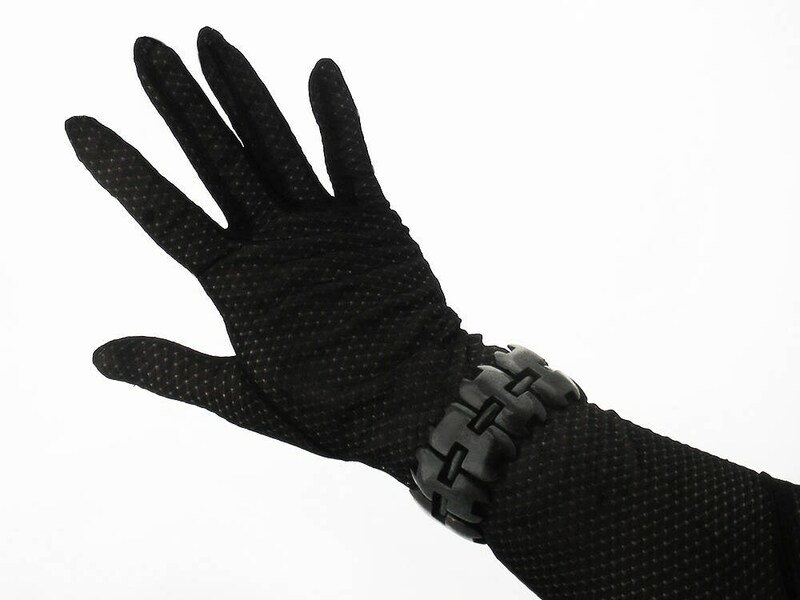 Beautiful on the arm, smooth and easy to wear.